Since the 5th of July 2015 Gracie has fought for her life, Acute Lymphoblastic Luekemia didnt win and in November, 2017 she finished treatment..
She underwent numerous scans MRIs and xrays, has undergone countless blood tests, line insertions, nasal gastric tubes, theatre admissions, intrathecal chemotherapy to name afew. She has suffered cruel and grueling side effects of diabetes, incontince, leg pain drug reactions and tummy bloating. But there’s a problem...it came back just shy of five months after treament stopped, it was confirmed 5th April 2018 her cancer has returned. Gracies cancer is as unique as her sparkling personality, it presents in unique ways with tumours and blood cancer. These tumors responded the first time to chemotherapy alone. But now, as the Cancer has returned and being faced with another long uncertain and unpredicatble road the family have united to clarify the plan of treatment. 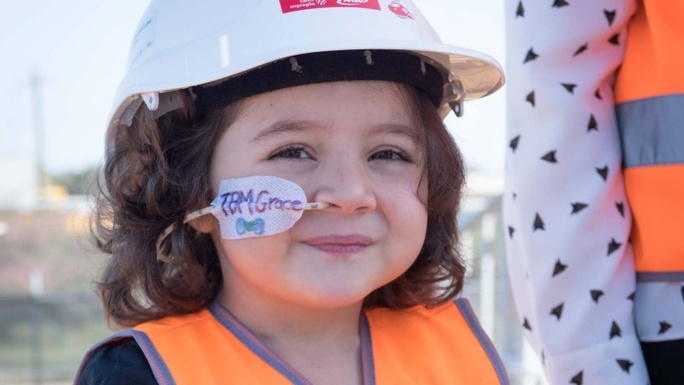 Their hope is to make sure that Gracies treament plan be more specific to her cancer and have many oncologists worldwide review and brainstorm for this next battle plan. We know that any treatment is dangerous, and whilst we risk her life, and quality of life, we want excellent guarntees that it will work out and give her all what she deserves. To grow up and grow old, like any six year old should be able to. We are crowdfunding to support private consultation with worldwide specalist oncologists groups , and to also get support for Gracies mental health and transition into isolation and intensive treatment agian. Just $20 would buy 15 minutes toward a hour with a much needed play therapist to help Gracie through the array of issues that come up with such invasive treatment. $50 would be 1/20th toward a private consultation fee with one of the worlds best specalist childrens oncology unit. There are three units that we hope to be able to ask to review Gracies medical records and give their advise and thoughts on her treatment. Funds would also be utilised and used to support the family and gain access to councelling to be able to support each other, process this cruel journey and cope with the daily battle of a daughter and sister facing cancer. Then remaining funds will assist with excessive daily expenses that mount being by your childs bedside, food, fuel, parking, the loss of a second income, internet (the hospital has no free wifi). We hope to have enough for the family to get at least three second opionions, get Gracie the right support thru this process, and keep her family ontop of mounting expenses so they can focus whole heartedly on her. Can you miss afew coffees or instead of takeaway have a fakeaway in house and send Gracie some love, shes missed homecooked meals! Join us as we create a community to support Gracie and her family thru her second battle with Cancer at just six years of age! This fundraiser is part of the "Go Gracie Go" campaign. Together with other fundraisers, they've raised $11,750 so far!